Ennis Antoine is a REALTOR® who has combined his passion for the industry with his commitment to education. He began his career in New Orleans and later transferred to Atlanta. Antoine started out as an associate broker with Better Homes and Gardens Real Estate Metro Brokers, and he is now a member of a team that leads an office with over 200 agents. "Life is a gift, and it offers us the privilege, opportunity and responsibility to give something back by becoming more." Antoine has received numerous awards and has served in leadership roles in both state and national real estate organizations. He is also a certified real estate instructor who shares the knowledge he has gained through experience with others in the industry. He teaches a 75-hour sales pre-license course to educate new agents and set them on a path to success at the local, state and national levels. Antoine is also dedicated to helping his community, serving as a deacon in his church for more than 20 years, working with Habitat for Humanity to build homes across the country, serving as a federal political coordinator for U.S. 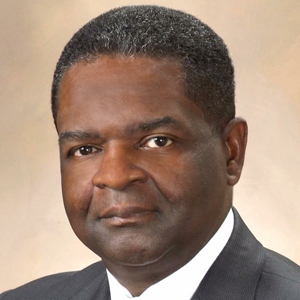 Congressman David Scott where he serves as liaison to the National Association of REALTORS®. “Life is a gift, and it offers us the privilege, opportunity and responsibility to give something back by becoming more,” he says. This year, Antoine's greatest accomplishment was being recognized in Who’s Who of Atlanta and Men of Influence by the Atlanta Business League. He also completed two Habitat for Humanity homes, while teaching and mentoring hundreds of agents.